January…our cupboards contain the remnants of the naughty leftovers from Christmas, and we find ourselves ‘eating up’ the chocolate goodies. Well, it’s time to gain control again and make some healthy, much more filling snacks that we can treat ourselves to! Oats are the perfect food to fill us up as they release their energy slowly, team that with the protein from the nuts/seeds and some fruit for good measure, and you’re onto a winner. 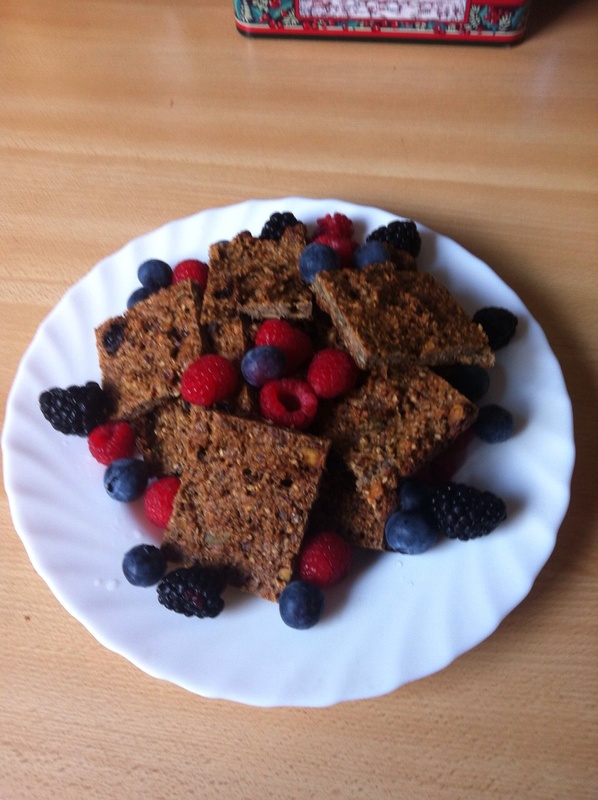 This recipe contains no added sugar and much less butter than conventional flapjack recipes, using honey and apricot to sweeten and yoghurt to add the moisture. 1. Preheat the oven to 200’c and line a baking tray with grease-proof paper. 2. Melt the butter (30 seconds in the microwave) and add in the honey, yoghurt and banana. Mash all this up. 3. In a separate bowl, mix together the oats, sultanas, pistachios and seeds. 4. Pour the butter mixture into the oats and mix well. 6. 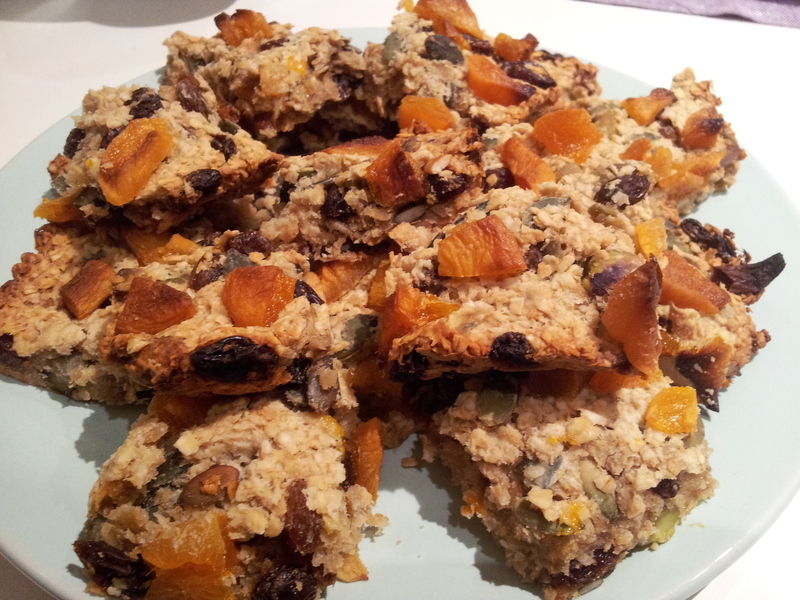 Tip the flapjack mixture into the lined tin, sprinkle on the chopped apricots and press them slightly into the mixture. 7. Pop in the oven for 30-40 minutes. 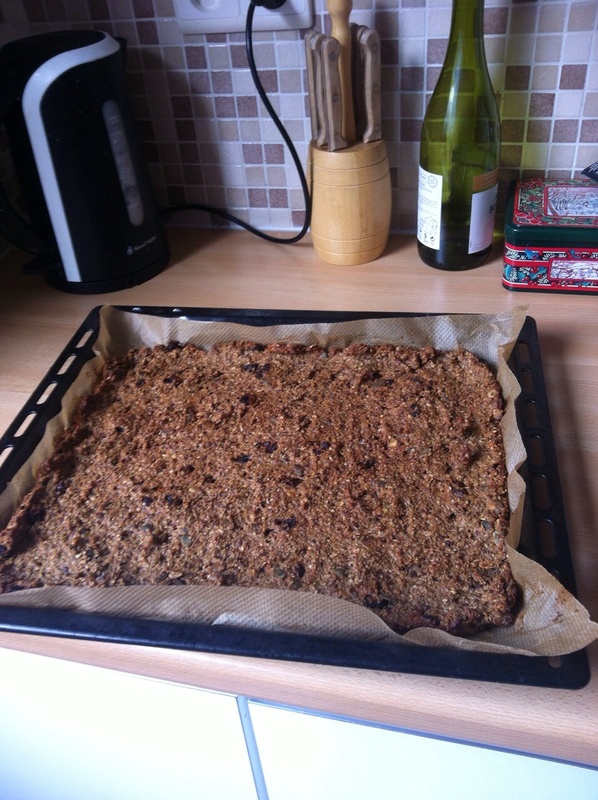 You may wish to cover it if you don’t want the apricots/sultanas to crisp up. 8. Chop into 18 square pieces and store in an airtight container. The nutritional data below is based on the above ingredients yielding 18 portions. I love receiving photos of you trying out my recipe suggestions!